The streaming revolution that has marked the last couple of years is bound to continue in the years to come. Kodi, a multi-platform home theater app, has also been an integral part of this revolution and deserves some special attention as such. Although the software is 15 years old (! ), the platform really just took off in the last few years. As it continues to grow in popularity, more and more people are becoming aware that Kodi should definitely be used in combination with a good VPN service for boosting online security and bypassing geo-restrictions. If you want to know more about the platform itself, how to set it up, and what the best VPNs for Kodi are, keep reading our list and find beginner-friendly answers to those and many other questions. ExpressVPN is one of the top choices for Kodi since it provides the richest selection of top-shelf applications usable on any device. It successfully balances between high-speed connections and optimized security. NordVPN is the best VPN for streaming with Kodi, offering the widest server network on the market, extraordinary connection speeds, and the ultimate online security configuration with not one but two encryptions. CyberGhost is a renowned Romanian VPN service compatible with numerous Kodi installations as long as the operating system supports one of its native connection protocols, including OpenVPN, PPTP, L2TP, and IPSec. PureVPN is an online security service located in Hong Kong and launched to protect its users from the restrictive policies enacted by the Chinese government. It's best known for its exotic server locations. IPVanish is a superb choice for staying safe and anonymous while enjoying your favorite streaming platform. The company is well-known for owning and maintaining every server in its network. As we already mentioned, Kodi goes way back. Back to 2002, when it was known as the Xbox Media Player, which changed to Xbox Media Center in 2003 and remained so until 2014. In 2014, the XBMC Foundation (the company behind the service) decided to rename it to Kodi. Cody is a highly customizable platform that allows you to stream video and audio content online and store and watch it at home. It also covers pretty much any operating system and device you can think of, including Raspberry Pis. You can view Kodi as your personal software media center that grants you full access to all kinds of online content, including music and video. The platform features a proprietary user interface and can work with both network and local storage services. However, note that Kodi doesn’t come with any content fresh out of the box. For the optimal Kodi experience, you’ll have to use third-party add-ons to extend its capabilities. When it comes to entertainment, Kodi’s got all the fronts completely covered. It works with countless video formats, including 3D, ISO, and H.264 and also allows you to stream content online. Kodi will enhance your experience by adding trailers, posters, video extras, fan art, and much more to your video library. Plenty of audio formats are supported as well, including MP3, OGG, and AAC. Kodi implements smart playlists and lets you tag different tracks. Apart from movies, TV shows, music, and pictures, Kodi’s software lets you stream and record live TV. This feature, however, requires one of many auxiliary backend services, such as MythTV, MediaPortal, NextPVR, and TVheadend. Kodi is open-source software developed by a non-profit organization, which makes it completely legal to use. You can download and install it from the official site and use any of the add-ons that are officially sanctioned. You’ll run into legal issues if you extend the platform’s range of streaming sources to “Kodi boxes” with pre-installed unsanctioned third-party add-ons or just use these add-ons yourself. These streaming sources can (and often do) include torrents, IPTV streams, and numerous websites that host content without the explicit permission from copyright owner(s). Here, we encounter our biggest conundrum with Kodi. How can we know which add-ons use legal streaming sources and which don’t? There is an example of a UK citizen who received a 250,000£ fine for peddling Kodi devices with a couple of add-ons that used illegal streaming sources. First of all, XBMC Foundation has nothing to do with Kodi boxes. In fact, the team stated that the boxes frequently sold by YouTubers or on eBay (loaded with unsanctioned third-party add-ons) are actually “killing Kodi.” Unfortunately, the open source nature of Kody prevents XBMC from controlling who installs it and on what. Bottom line, Kodi is perfectly legal as long as you steer clear of any devices with fully loaded Kodi installations with questionable third-party add-ons. You’re not only risking copyright infringement but can infect your device(s) with pre-installed malware as well. You should also check your local laws and their position on streaming from third-party sources. Before we get into details, we have to go with a resounding yes on this one. Some reviewers will state that VPNs are not prerequisites for using Kodi; others will say that it all depends on how you plan to use Kodi – you get the picture. This is all true, but if you really want to have fun (and you know you do), a good VPN for Kodi is a must-have. You’ll be completely anonymous online, your traffic will be encrypted and unreadable, and you’ll keep a bunch of prying eyes from messing with your connection (your ISP, hackers, the government…). Additionally, you’ll be safe from any malware you might otherwise pick up along the way. VPNs will help you overcome port blocking and connection throttling performed by your ISP. In other words, this will prevent your ISP from seriously lowering the quality of your connection. VPNs will keep you safe from copyright infringements if you decide to engage in illegal torrenting and other shady modes of P2P filesharing. Finally, VPNs will help you bypass geo-restrictions imposed by Netflix, Hulu, Fox, ESPN, and other platforms. The best VPNs for Kodi are the optimal way to unlock its full potential. Yes, you can use Kodi and its add-ons without a VPN, but there will always be a bunch of limitations holding you back. Apart from optimizing your personal experience, VPNs for Kodi will also make sure to keep you on the right side of the law. Bottom line, Kodi and VPNs go hand-in-hand. Are There Any Kodi VPN Add-Ons Available? It is highly recommended to use your VPN separately from Kodi since it’s the more secure and much less complicated solution. However, if you want to control your VPN through Kodi, there are some options at your disposal. First of all, you should know that this kind of Kodi setup limits you to Mac OS, Linux-based platforms (LibreELEC and OpenELEC), and Raspberry Pi 3. Using your VPN through Kodi will also remove some of the beneficial security and privacy options featured on dedicated VPN apps. Our recommendation is to try out the OpenVPN add-on for Kodi from Brian Hornsby. This add-on is open-source and works perfectly without you having to download any repositories. Unfortunately, it’s limited to the aforementioned three platforms. You can find this add-on on Brian Hornsby’s official website and GitHub page. Another good option for controlling your VPN from within your Kodi is the Zomboided VPN Manager. This add-on supports numerous VPN services, including all the VPNs featured on our list. It also works with OpenVPN and is compatible with Windows, OpenELEC (5+), LibreELEC (7.x+), and other Linux-based platforms. However, you won’t be able to use the Zomboided VPN Manager with most Kodi boxes that run on Android. Using them separately – This just means that the VPN is installed on your device and that it encrypts all your online traffic (Kodi streaming included). This is the usual option that works well on many different devices and platforms. It also offers the highest level of security by protecting your information with the native VPN application. Using your VPN within Kodi – This is done via different apps and add-ons, but it’s currently not available on many devices. In fact, you can use your VPN within Kodi only on Mac OS, Linux-based platforms (LibreELEc and OpenELEC), and Raspberry Pi 3. If you decide to take the easy (and more secure) approach, your VPN will utilize its proprietary VPN app and encrypt all your Internet traffic while you use your Kodi for streaming. The whole setup is done in just a couple of minutes. All you have to do is download and install your VPN of choice, connect to the right server, and start streaming with Kodi. You can also use your VPN wit Kodi through add-ons, which will allow you to control the VPN from within Kodi. However, this is a more complicated and less secure option. If you’re using a Kodi TV box, you can install a VPN on this device quite quickly and effortlessly. This will allow you to unblock any restricted or blocked add-ons while simultaneously protecting your privacy. You can also install a VPN directly on an Android Kodi box, which is a very beginner-friendly solution. Amazon Fire TV, Amazon Fire Stick, and Nvidia Shield TV Pro are the best Android-based Kodi boxes compatible with VPNs. Finally, you can also install a VPN on your router and protect all the devices you use to stream with Kodi. What Makes A Good VPN For Kodi? Internet surveillance and censorship are about as frustrating as the fact that your ISP will deliberately throttle your connection speed even though you’re a paying customer. In order to avoid these and many other unpleasant experiences, we’ll go over some of the crucial factors that make the best VPNs for Kodi. Connection speed is especially important if streaming and torrenting are your regular daily activities. What you should know is that many VPNs will artificially increase their speeds by lowering the security configuration. It is well-known that encryption and other security measures introduced by VPNs take their toll on the overall speed. Shady VPN providers will try to bake you with incredible speeds but won’t tell you they are exposing you to potential online threats. That is why you should only opt for VPN services that can strike a perfect balance between optimal online security and privacy and satisfactory speeds that can allow you to stream in HD without any problems. Naturally, the more servers your VPN provider has, the better service it will provide. First of all, you’ll be able to connect to high-quality servers regardless of your geographic location. Secondly, you will be able to avoid overcrowded servers. Too many users on the same server can affect the overall connection speed and cause considerable lags. A higher number of servers spread all over the world also increases your chances of bypassing security measures put in place to restrict streaming libraries to particular countries or areas. In other words, server networks are one of the integral components required to successfully unblock Netflix US and similar streaming platforms. What is also important is that your VPN should come with unlimited bandwidth, server switching, and speeds. Unlimited bandwidth is especially relevant for streaming and P2P filesharing, server switching allows you to test as many servers as you want, and unlimited speeds enable you to stream and download torrents without any limitations. There is just a handful of VPN services that provide their users with dedicated servers optimized for streaming and torrenting. In order to optimize your streaming experience, our list of the best VPNs for Kodi includes only the best of the best. This again brings us back to the topic of speed, which is all that matters on your end when it comes to streaming. Dedicated streaming servers offer much higher speeds than regular ones and will be optimized for specific streaming channels. Security and speed are the two main prongs of all the best VPNs for Kodi. VPNs are primarily designed to encrypt your traffic and prevent prying eyes from accessing your personal information and learning your true identity and location. The strongest encryption currently available is AES-256, which is often referred to as “military-grade” or “bank-grade” encryption. AES-256 cipher plus RSA-2048 handshake and SHA-256 authorization is the optimal security set up that won’t affect your speed tremendously while keeping your perfectly safe. Some VPN providers go even higher than this, but better security configurations are entirely unnecessary and only serve to jack up the price. Our list of the best VPNs for Kodi features companies that keep zero logs of your activity and have no obligation to hand over your personal data to anybody. Our goal is to help you find the best VPN for Kodi that suits both your needs and your budget. What follows is a complete overview of the pricing options offered by VPN solutions that made it to our top list. Browse the table below and discover how our top picks compare to one another in terms of affordability. We have chosen the best VPN services that satisfy all of our selection criteria. Now it is time to explore our top picks in greater detail and find out which one is the best fit for you. Read the mini-reviews below, discover the key features of our top-rated VPN services for Kodi, and decide which one is the right match for your needs. ExpressVPN is one of the best VPNs for Kodi that provides you with the largest selection of top-quality apps you can use on pretty much all devices (Windows, Mac OS, iOS, routers, Android Kodi boxes, and more). ExpressVPN currently has more than 1,500 servers spread across 94 countries, which is also an impressive server network that has you covered anywhere in the world. Some of those servers are optimized for streaming as well. The company offers unlimited bandwidth, speed, and server switching. When it comes to speed, we barely even noticed we were connected to a VPN during our testing circuit. 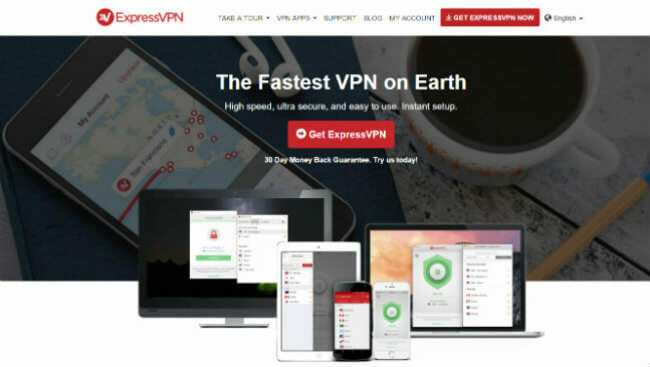 As for security, ExpressVPN supports OpenVPN, SSTP, PPTP, and L2TP/IPsec connection protocols and utilizes AES-256 cipher to encrypt your traffic. The company holds no traffic logs, protect you from DNS leaks, comes with an integrated kill switch, and offers shared IP addresses. NordVPN is a powerful VPN service with meticulously designed apps for both handheld devices and computers. All you have to do is launch the app, select a country, and you’ll be immediately provided with a fresh IP address that you can use to hide your true identity and location as well as unlock geo-restricted content. NordVPN offers amazing speeds, especially considering the level of protection it provides to its users. It currently has 3,557 servers in 61 countries, which is the largest server network currently on the market. Among them, there’s a certain number of servers optimized for Kodi. NordVPN supports OpenVPN, PPTP, L2TP, and IPsec communication protocols and encrypts your traffic with AES-256 cipher. It’s the only VPN worth mentioning that encrypts your online traffic twice. Finally, NordVPN has a strict no-logging policy, protects you against DNS leaks, features an auto kill switch feature, and offers both shared and dedicated IPs, which is particularly important for streaming. CyberGhost is a famous VPN service founded back in 2011 in Romania as a simple unblocking platform. Today, it supports countless devices, add-ons, third-party software, and streaming platforms and devices, including Kodi. CyberGhost functions with many Kodi installations as long as they support one of the native connection protocols. This includes OpenVPN, PPTP, L2TP, and IPSec. The overall compatibility also depends on your operating system so you might have to install some add-ons and/or third-party software in order to achieve the desired OS/protocol combination. The official CyberGhost website features detailed explanations and guides for protocol configuration. Apart from compatibility with Kodi across numerous operating systems, CyberGhost also features an auto killswitch, AES-256 encryption, a strick no-logging policy, DNS and IP leak protection, apps for numerous platforms, high speeds, unlimited traffic/bandwidth, more than 3,500 servers in 57 countries, and a 45-day money-back guarantee. Also, it supports up to 7 simultaneous connections. PureVPN is a well-known VPN service located in Hong Kong. The service was launched to cater to the needs of the Chinese market plagued with censorship and state Internet controls. In other words, the staff managed to beat Chinese state censorship, so they can pretty much hold their own anywhere in the world. PureVPN has more than 750 servers across 141 countries, including unique locations like Australia, Indonesia, Papua New Guinea, Singapore, Malaysia, and the Philippines. Some of the servers offer better streaming performance than others and you can check them all thanks to the unlimited server switching offered by the company. This is paired with unlimited bandwidth and speed as well. The supported connection protocols include OpenVPN, PPTP, SSTP, IKEv2, and L2TP/IPsec. Your traffic will, of course, be encrypted with 256-bit data encryption. PureVPN keeps no traffic logs, comes with a kill switch feature, allows up to five simultaneous connections, and has a full seven-day money-back guarantee. IPVanish is an excellent choice for Kodi streaming with speedy performance and top-quality apps. Also, its pricing plans are beyond reasonable for a premium VPN provider. The company owns every single server in its network, which provides its users with better performance and more security. IPVanish currently features more than 1,000 servers in over 60 countries around the world. As we already mentioned, proprietary servers ensure better speeds and overall performance. Available connection protocols include OpenVPN, PPTP, and L2TP/IPsec and traffic is encrypted with AES-256 cipher. The company keeps no logs, protects you against DNS leaks, features an automatic kill switch, and allows up to 5 simultaneous connections. Its strict zero-log policy offsets the unpleasant fact that it is registered in the US. You have a full 7-day money-back guarantee at your disposal, which gives you plenty of time to test IPVanish with your Kodi.